Melbourne writer, editor and publisher, Sophie Cunningham, is the author of several novels: Geography and Bird, and currently working on a third. Editor and publisher of numerous books, both fiction and non-fiction, she has worked for such notables as McPhee Gribble, Penguin and Allen & Unwin as well as taking the helm as editor of Meanjin (2008-2010). She writes on such diverse topics as travel, cultural analysis, Buddhism and television (not to mention literature) but her latest adventure is Melbourne, commissioned by Newsouth as part of a series on Australia’s capital cities. I thoroughly enjoyed Sophie Cunningham’s Melbourne, and not just because of its gorgeous production values. I finished it just before alighting at Southern Cross station, ready to catch the connecting train to Footscray. As I was politely weaving my way on to the escalator with my suitably conservative morning commuter fellows, wearing the obligatory smart woollen coat against the cold and clutching the proofs of an edition of Overland (heading to that office), I felt like I had fallen into the book I had just read. Its warm, wry tone stayed with me as I went on to take in the sights and smells of Droop street with a freshly appreciative eye. Melbourne is a very personal account of the city. What was your brief? The brief was extremely open. Phillipa McGuiness, the publisher, envisioned the books as being travel books about your home town. And she only wanted 50,000-or-so words (it ended up being about 60,000). Then it was up to me as to how I’d approach the material. I had to let her know what my approach was – a year in the life of, seasonal – to make sure we were all in agreement. Then I was on my own. Memoir is a powerful thing, I would imagine in particular, ‘surprise memoir’ … does writing autobiographically change the way you feel about the story of your life? I’m not sure what you mean by ‘surprise memoir’. Do you mean you weren’t expecting it? Obviously my approach is memoir, but it doesn’t feel overly personal. By surprise memoir, I meant that it wasn’t like you sat down and thought, ‘I’m going to write a memoir’ but the brief came and then the idea of memoir as a way to meet the assignment. But I guess I was happily surprised that Melbourne is also a bit of an insight into you as a person. I think you managed the autobiographical approach beautifully, keeping the focus on the city. Except for a couple of references to my parent’s ill health I don’t really touch on matters close to me in the intimate sense of that word. But geographically close, and culturally, certainly. What I did with my memories of Melbourne and the town it used to be, was to set them alongside the place I live in now; then try to figure out how we got from one place to the other. I also researched key memories – such as the Westgate Bridge disaster – to more fully understand their implication. 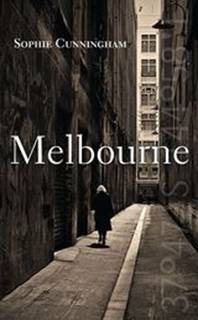 That is, I tried to isolate the experiences I had of Melbourne that would have been broadly shared, and would resonate for readers. I used memoir to orientate and organise. In terms of how that made me feel about the story of my life – well yes it did change that a bit. It reminded me that my story is connected to many other people’s. Once you share details about yourself and your life, you come to see how many other people have similar experiences and you also get to hear their stories. For example, one reader told me that Melbourne used to use the mud at Merri Creek for cricket pitches because it was so sticky – this guy played a lot of cricket. I love that story. I wish I’d known that when I wrote the book. Is there anything else you left out that you wish you’d had room to leave in? Yes, I would have liked to have had a bit more about Melbourne’s political life – both historical and contemporary, both conservative and radical. And I’m interested in Melbourne’s history in terms of class – the way some key families, like the Baillieu’s, have lived here for many generations. The way there is still such focus on the school you went to. There has been a lot of comment about how middle-class I am and the ways in which this comes through in the book. While this is true, I went to a new high school in an area known for its old private schools, so that always left me feeling that I was outside that particular world (I’m talking more culturally than economically here). I don’t touch at all on the city’s gay and lesbian history. I write about Melbourne’s sprawl but don’t talk about the development of the suburbs after World War II. As well, there are any number of factoids and historical gems that I would have loved to include. The library at the Athenaeum doesn’t get a look in. I only briefly mention Curtain House. Oh, the list is endless. Where are you now with your writing practice? I still have a novel on the back burner that I am wanting to bring to the front burner. And I’m researching another non-fiction book. I am attempting to live as a writer full-time which is both a luxury (in terms of time) and a curse (in terms of money). 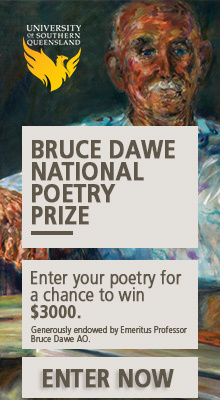 What are you up to at the 2011 Melbourne Writers Festival? I’m running several walking tours around the CBD throughout the festival. I’m launching Overland on the first Saturday afternoon. I’m on a panel about cities during the day on the first Sunday, then giving a keynote that night, on feminism, at BMW Edge. The following week we’re throwing a bit of a party to celebrate the Stellas, the prize for Australian women’s writing that I’m involved with. It’s a busy time. Melbourne is available at all good book stores. For details about Sophie and the MWF. And come along (the more the merrier) as she launches Overland edition 204.